This is the fifth book I read for literature studies in fourth grade. This story is about a boy named Little Willy who, one day, finds his grandfather who won't get out of bed. Little Willy calls the doctor and the doctor said that his grandfather was very healthy and could live to an old age, but had given up on life. He finds out the reason his grandfather has given up is that he owed $500 to the tax people. Little Willy had to find a way to get the money. He realizes that there is a dog sled race and the prize money is $500. Little Willy enters the race with his dog, Searchlight. The question of the book is "Can they win the race?" This was a short book that was easy for me to read. 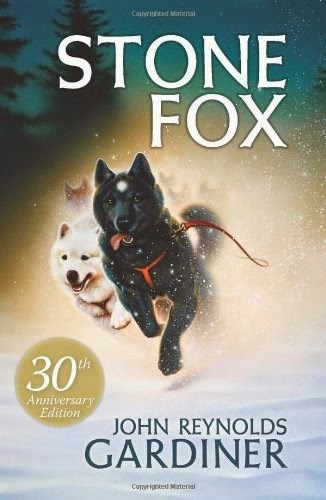 I thought it was a good story and I liked that there was dogs in it, but the ending was very sad. I thought Little Willy was a brave, confident character because he was sure that he could win the race and entered it against some of the fastest racers around.